What Does Effective Inbound Marketing Cost? Home blog What Does Effective Inbound Marketing Cost? According to iMPACT, 55% of B2B companies’ annual budgets are directed toward content creation. A major cause of this devotion to inbound marketing is due to the fact that inbound leads cost less than outbound leads. In fact, they cost 61% less. And when compared to traditional marketing methods, inbound marketing results in three times more leads per dollar spent. If these statistics aren’t enough to make you jump on the inbound marketing bandwagon, then take a look at this one — brands that publish at least 15 postings on their blogs each month tend to convert more than 1,000 leads. You need an inbound marketing campaign, but what is it going to cost? Before we dive deep into detail about inbound marketing cost, we first need to pinpoint what an effective inbound marketing campaign entails. Not only will covering the bases of effective inbound marketing help us determine its realistic cost, but it will paint you a clear picture of what your campaign needs to look like. And just so you’re aware, effective inbound marketing is going to cost a pretty penny, but with the right tools and content, you can be well on your way to achieving a high return on your investment (ROI). And while many large companies invest well over $100k a year on inbound marketing, small businesses can still hang with the big boys on a much smaller budget as long as they deploy the right elements. Below is a list of the eight most critical elements of inbound marketing. Under the list is a more detailed overview of these elements and how much you can expect to pay for them. Probably the most crucial element of any inbound marketing campaign is setting goals. After all, if you don’t set goals, how will you know if your campaign is proving successful? To calculate the success of your campaign, you need to create key performance indicators (KPIs). For example, one of your KPIs can be to drive 25 qualified leads a month by publishing 20 blog posts a month. Not only will establishing this KPI help you calculate success but it will allow you to create goals that are realistic because you will perform an assessment of gaps. During this assessment, you will refine your inbound marketing campaign by seeing if the goal is realistic based on your current website traffic and your existing database. It should come without saying that you need a website to carry out inbound marketing, yet many small businesses these days still don’t have an up and running website. A lot of them have a site, but they haven’t added to or changed anything on it in years. Effective inbound marketing takes time. More importantly, it consists of adding content to your site over a very long period of time. Google has to crawl your site and index your pages before it starts including you in search engine results, so the sooner you start adding to your site, the sooner you will start appearing in people’s searches. To build a website, you don’t have to be a web design guru. There are many free platforms that allow you to create beautifully-designed websites for free, including Weebly. You will, however, want to take full advantage of any analytics your website host provides, which usually comes at a charge. All in all, a custom website will run you about $1,500 to $3,000 (on the lower end), and this doesn’t include site maintenance. Ideally, you will want to opt for a website host that provides free maintenance; these hosts are easy to come by. This is where things start to get really expensive. Quality content doesn’t just pop out of thin air. It takes a professional writer who has years of experience in content creation to develop authoritative content that not only attracts the attention of your prospects but converts them into leads. These writers know very well that their services are in high demand; this is why they charge such a high rate for content. For content that goes on your home page and other landing pages, including services page, about us page, etc., you can expect to spend a minimum of about $100-$200 a page. A quality 500-word blog posting is going to cost you about $150, and this is on the low end. Many content creators are known to charge $300+ for a 500-word posting. At 15 blog postings a month, you’re looking at $2000+ just to keep your blog up and running with fresh content. It’s important to keep in mind, though, that websites with a blog have an average of 434% more indexed pages, and as we stated before, effective inbound marketing starts with having a website with pages that can be indexed by search engines. So, even though you’re investing a great deal of money into your blog, you can rest assured you’re going to receive a high ROI. It will also come at the hands of a professional writer to create content for the emails you send. And while some marketers view email marketing as a form of outbound marketing, when done correctly, it can serve as a very lucrative form of inbound marketing. According to Katie Martell with Netprospex, when reaching out to prospects, email is outbound. When you use it to attract qualified leads in an organic manner, it most definitely qualifies as inbound. The question you should be asking yourself is whether or not to create the content yourself, have it produced in-house, or to outsource content production. If you’re a good writer and you have time to devote to content creation (at least 10-20 hours a week), then you can definitely save money by creating it yourself. If you want it produced in-house, you can expect to pay your content creation specialist an annual salary of around $40,000 to $50,000. If you outsource content production, you’ll likely pay about $5,000 a month or at least $60,000 a year. If your content creation specialist doesn’t include SEO in his or her services and you outsource this element of inbound marketing, you will likely pay close to $3,000 a month. The more content you distribute each month, the more SEO you will need, meaning the more money you will have to spend. The cost of inbound marketing is largely influenced by the marketing software you invest in. Some marketing software programs only handle one form of marketing, such as email marketing, while others provide a full suite of services. Marketing software is of the utmost advantage to your inbound marketing campaign because it can automate many tasks, such as sending out emails, posting blogs to your website, and publishing updates on your social media profiles. On average, this software will account for three to five percent of your overall marketing budget. The more features and functions the software boasts, the higher the cost. From a dollar perspective, you can expect to spend anywhere from $1,000 to $5,000+ a month. Much like SEO, many content creation specialists provide social media advertising services. They will not only create content for your social media profiles but if you grant them access, they will make/schedule the postings for you to ensure your content lands in the front of the right audiences. If you outsource this element of inbound marketing to someone other than your content creator, you can expect to pay $4,000 to $7,000 a month; this is why insourcing social media advertising can really pay off. One of the best things about PPC advertising is that you can set a monthly cap and once you exceed it, you don’t have to dip into funds allocated for other business functions. There are several factors that will influence your PPC advertising costs, including the types of keywords you choose to bid on. To keep your PPC cost low, you will want to bid on branded keywords. Not only are they cheaper but they have higher quality scores. 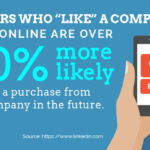 More so, they will have your brand name in them, meaning when someone clicks on your ad, they are already much farther down the sales funnel than a person who comes across your ad by accident. From a money standpoint, you will pay about $1 to $2 per click. If you bid on more expensive keywords, you can expect the pay per click rate to go up to $50. There’s no denying that regardless of the size of your business, inbound marketing is going to be expensive. Statistics show, however, that this form of marketing can be well worth your investment.